The Winter 2018 issue of Twist Collective is finally here and full of gorgeous knitting patterns for sweaters, hats, scarves, and mittens! But how do you choose what to knit first? I pulled five of my favorite patterns from the new issue to help give you some inspiration and get started on some new projects in 2018! Do you need some creative accountability? Check out Marykate’s post on the #WEBSFiberFollowThrough and join us on social media for a year of fiber fun! 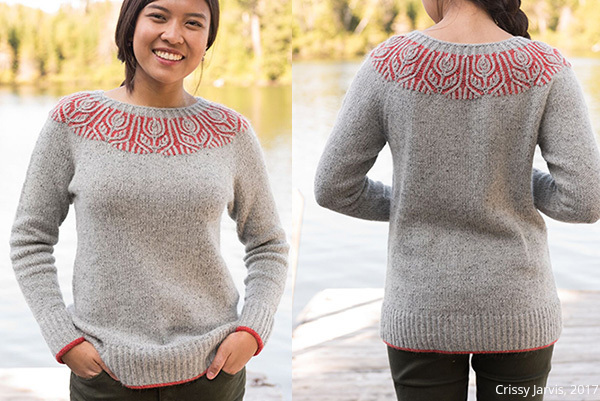 Who doesn’t love a gorgeous sweater in a fun, tweedy yarn? This sweater immediately stood out to me as a classic when I first flipped through the new Twist issue. 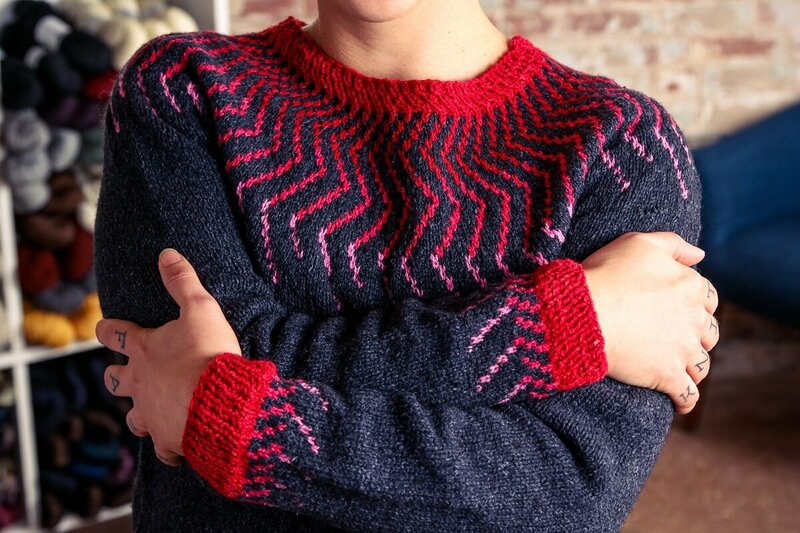 I love the simple cables up the front and the pretty details at the cuff and hemline. Universal Yarn Deluxe Worsted Tweed Superwash also comes in the cutest color palette! It reminds me of the fun speckled yarns that are all the rage right now, but in a more subtle aesthetic. 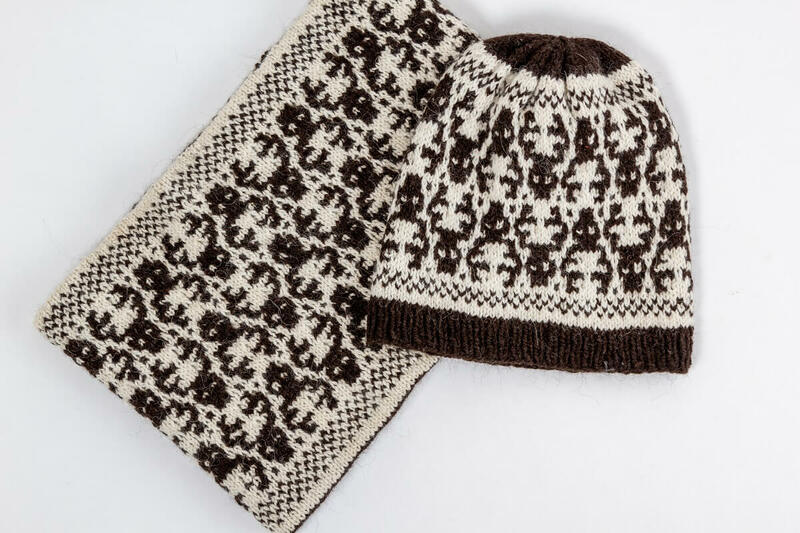 The adorable Cabrillo set is so soft and will knit up in a flash in the gorgeously bulky Fibre Co.’s Tundra! The kit comes with the colors pictured in the finished set, but there are several beautiful combinations you can put together with Tundra! 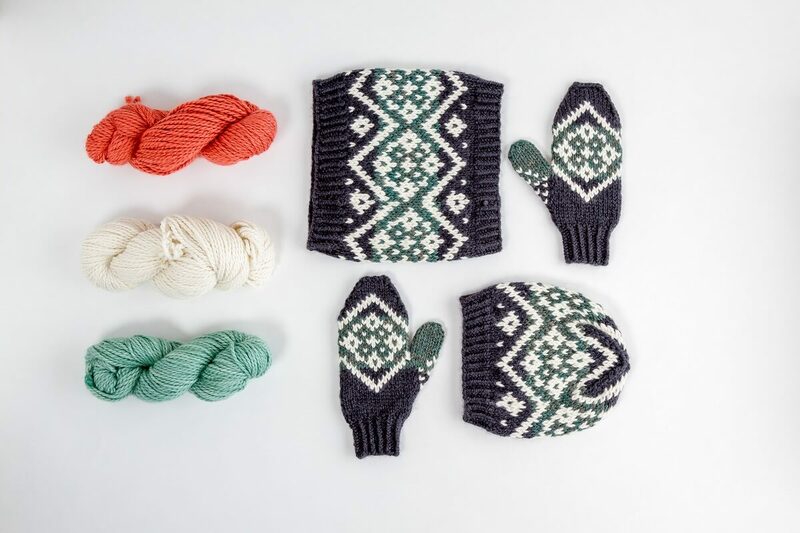 If I were going to knit this set, I would choose the three playful colors on the left: Sockeye Salmon, Snowdrift, and Blue Lagoon. The Yojimbo shawl may be knit in Valley Yarns Charlemont, but either way it would be one of my favorite pieces in this issue. 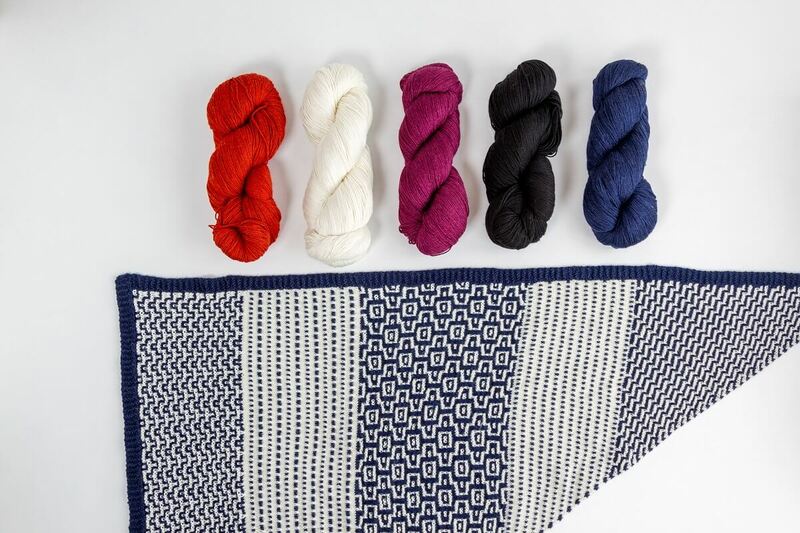 I love anything with a bold geometric motif and a fun to knit stitch pattern and Yojimbo has both! This gorgeous shawl is achieved with a slipped stitch mosaic color work pattern and finished off with a bold intarsia edge. The kit comes with the colors pictured in the finished garment, but I pulled a few more options so you could get creative and change up the blue to be whatever color would fit your wardrobe best! How cute is the playful reindeer motif on this set?! I’m definitely going to knit up a few of these for Christmas gifts next year. They’re the perfect mix of playful, cozy, and cool! It’s the perfect style for someone who loves a little bit of cutesy mixed in with their bold patterns! What are your favorite patterns from the Twist Collective Winter 2018 issue? Those crisp New England Autumn days are quickly waning into what is sure to be another dark and cold Massachusetts winter – my FAVORITE season! This early-not-quite-wintry weather is absolute perfection for working on a new project, and with the long Thanksgiving weekend coming up and so many of us traveling, we have the perfect excuse to pick up our needles and cast on something new! Here at WEBS, we’re constantly planning a new project, and with last month’s release of Twist Collective’s Fall 2017 issue, we have an entirely new batch of patterns to choose from – 12 in all! I absolutely love Belem!! The lace detail on the back and shoulders give it something special and the ribbing gives it a nice, flattering fit. 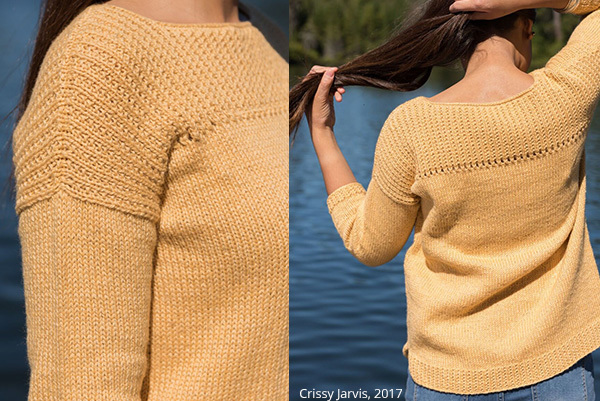 Combine that with Blue Sky Fibers Woolstok and this becomes an instant favorite – even for a knitter who likes her sweaters a little on the looser side! I really like Safdie’s relaxed and wearable look. Luma is a lovely yarn and I think this would be great to knit and wear! 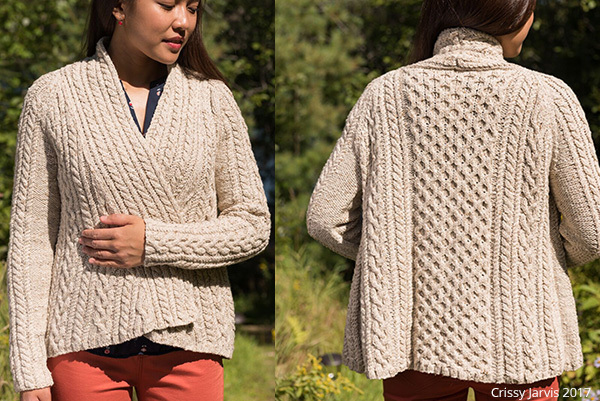 Allegheny by Glenna C is my favorite because it looks so cozy and easy to wear! I love its shape, and all the great texture from the cables. I love Helenium because pullovers are more interesting to me than cardigans, and the two-color brioche at the yoke will provide enough interest to keep me going through the stockinette body. I want to knit the Espe shawl because the design is simple but visually intriguing, and because of how beautiful the gradient stripe is! And as for me, I can’t stop thinking about Bereza, a seamed pullover knit in Classic Elite Mystique. As if I need another excuse to knit with an alpaca blend . 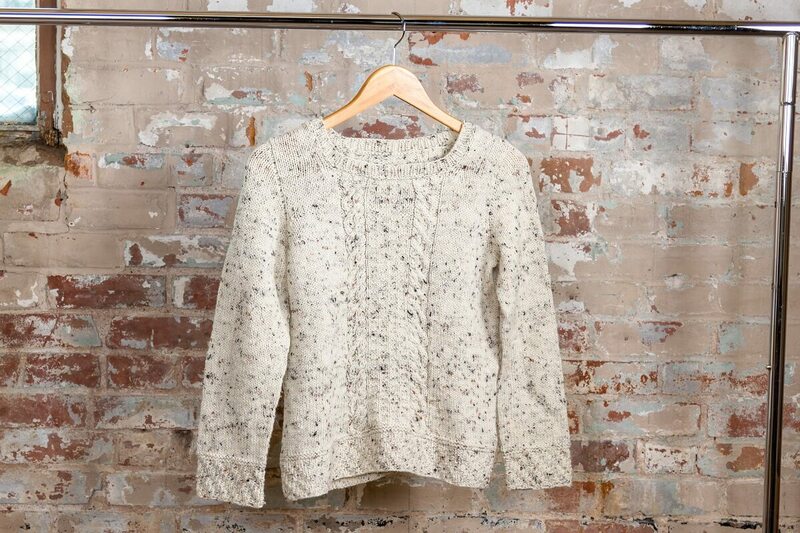 . . Bereza is bulky and warm, with a lacy cable pattern that’ll be quick to knit and super easy to pair with other items in my winter wardrobe! And there you have it – 6 striking patterns for garments that will seamlessly fit into your winter wardrobe. What are you planning to work on this holiday weekend? 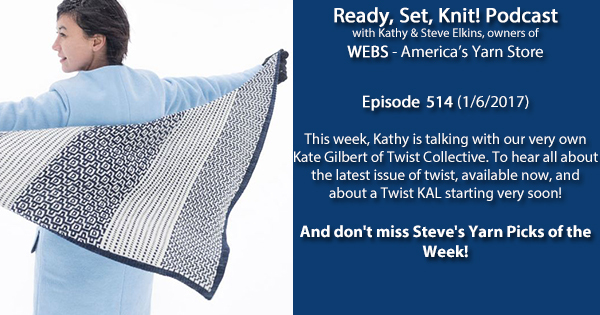 This week, on Ready, Set, Knit!, Kathy is talking with our very own Kate Gilbert of Twist Collective! Twist Collective relaunched this week with an absolutely beautiful fall issue. This is also Twist’s 9th anniversary issue. 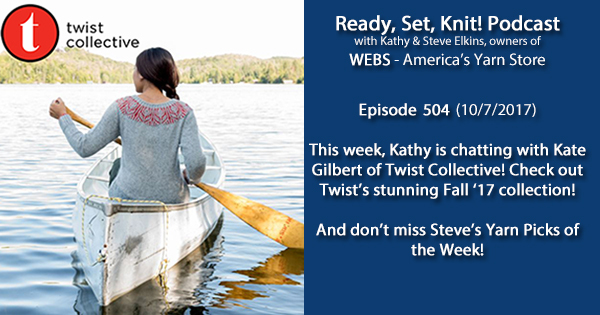 Twist Collective started in 2008 as a way for designers to publish patterns and earn a fair wage for their work, and as an online magazine, it’s easily accessible to knitters everywhere! Visit Twist Collective’s website over here, and check out the new patterns for fall! Frabjous Fibers Three Feet of Sheep WEBS Exclusive Color – 20% off for a limited time! SweetGeorgia Silk Puff – 20% off for a limited time! On Sunday, October 8th, WEBS will be hosting our annual Knit and Crochet for the Cure event, where we will knit and crochet chemo hats. This is a fantastic way to gather with other crafters in support of a good cause. The event is FREE and taking place in our Northampton, MA store, but we do ask that you please sign up here so we can get a head count for snacks! There will be a supply of yarn available on a first come, first serve basis. Click here to receive emails from Twist Collective so you don’t miss out on any news! The 2017 Fall Catalog is LIVE! 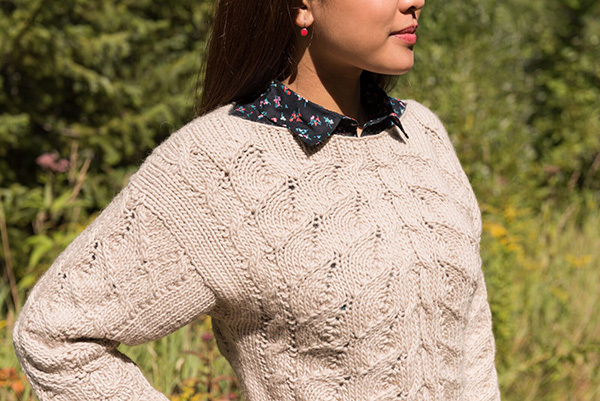 Click here to view our gorgeous collection of yarns and patterns for fall! Fall classes are LIVE!! Have you been itching to take the plunge and learn how to knit or crochet? How about fine-tuning your weaving and spinning skills? Click HERE to take a peek of our full list of class offerings – but be quick! They are known to fill up fast! It’s finally here!! 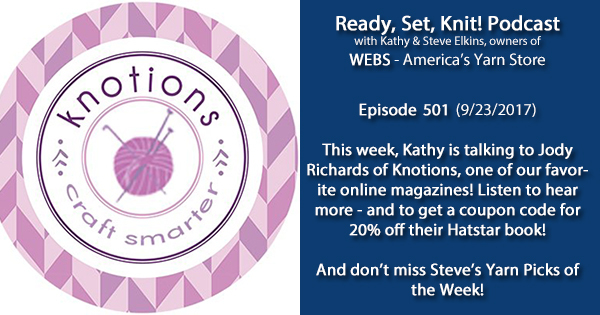 Check out The Knit Show with Vickie Howell!! Subscribe to the YouTube channel so you don’t miss out!